MEDINA, Saudi Arabia: Four Chinese Haj pilgrims have died of diseases in Saudi Arabia before the Haj or Muslim's pilgrimage starts today in Mecca. But the rest of Chinese Haj pilgrims are ready to perform the most important rites in their lives, according to Mustafa Yang Zhibo, vice-president of the China Islamic Association and director of the Chinese Haj group. The four Chinese Haj pilgrims are Ma Kefu, 62, of Gansu Province; Ma Hongying, 69, of Yunnan Province; Yang Guozhong, 74, of the Ningxia Hui Autonomous Region; and Osman Sulitang, 65, of the Xinjiang Uygur Autonomous Region. Ma Kefu died of lung cancer and the others of heart disease. They are among 202 pilgrims that have died of old age and other natural causes this year, the Supreme Haj Committee of Saudi Arabia said on Monday. The China Islamic Association has informed relatives of the four pilgrims. All have already been buried in Saudi Arabia, three in Mecca and one in Medina, Yang said. "Almost every year some Chinese Haj pilgrims die of diseases, and we have 20 doctors in our group this year to give pilgrims medical treatment," Yang said. This year the number of Chinese Muslims who joined the Haj group of the China Islamic Association hit a record 9,785 people, about 40 per cent up from last year's number. The figure does not include about 4,700 Chinese Haj pilgrims who travelled through a third country, mostly Pakistan. 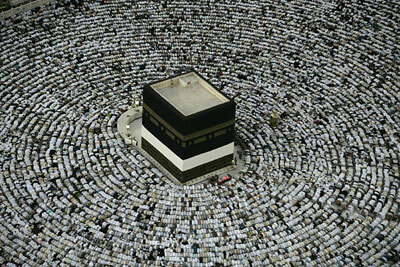 The governments of China and Saudi Arabia agreed in May that individual Chinese Haj pilgrims would not be issued visas. Unclear on the regulation, thousands of Chinese Muslims went to Pakistan to apply for Haj visas. After discussion between the governments of China and Saudi Arabia, they were granted visas, but this will be the last time they will be issued to individual Chinese Haj pilgrims. Members of the Haj group of China Islamic Association stay in buildings that the association rents, whereas other Chinese pilgrims make their own arrangements. Yang said the association would help Chinese Muslims who travelled separately in urgent circumstances. The rites of the Haj include staying at the field of Arafat, collective walks around the Kaaba (a shrine located in a square adjacent to the Grand Mosque in Mecca), and the symbolic stoning of evil. The stoning of evil, or jamarat, has often triggered stampedes in the past. In 1990, 1,400 pilgrims were killed. Last year, about 360, including five Chinese Muslims, were killed. To avoid similar incidents, the government of Saudi Arabia launched a jamarat expansion project, the first phase of which was completed before this year's Haj. There is also a time schedule and route set up so that each country's Haj pilgrims may participate.